There's No Place Like Home: Shopping Time! If you live in the D/FW area, and want to come, leave a comment with your email address and I will email you where I live. I have said it in the past, but make me feel confident that you are a normal, non boogie man kind of a person. And if you came last year, remember that I moved...again! Because that's just what you do when your baby is 2 weeks old! We will have some great things here. 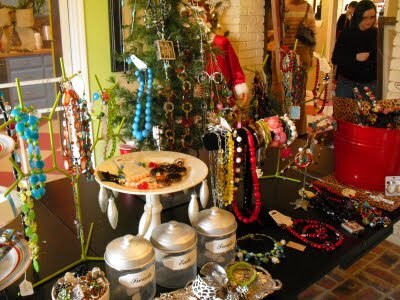 You can shop for people on your Christmas list if you want, but if I were you I would shop for myself! And no I'm not a boogieman! Just love your stuff and found you through golightly's. I want to come....but since I live in Georgia I don't think I'll make it. Do any of the vendors have etsy sites or website's??? LOVE the stuff and would love to buy some! I am so sorry I have to miss it! I hope it goes well! Happy Thanksgiving! I'd love to come. I've been enjoying your blog for awhile and was so excited when I realized I lived in your area. My email is dtalleygv@gmail.com. Hi, I stumbled upon your blog through a mutual blog, Precious Moments. What an awesome nack you have for decorating & crafting. 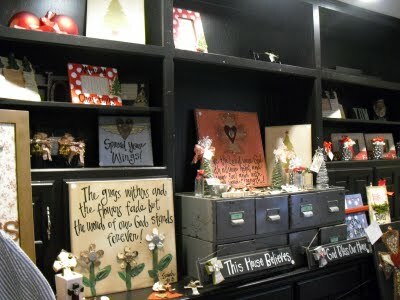 I am sad to say I am deficient in this arena :) would love to stop by your Christmas Shop on Saturday. I would totally love to stop by!! I love your stuff :) I can't wait!!! I would love to come to your show. I have met you and Jennifer at the antique shop when you both hosted a baby shower I had at the tea room. 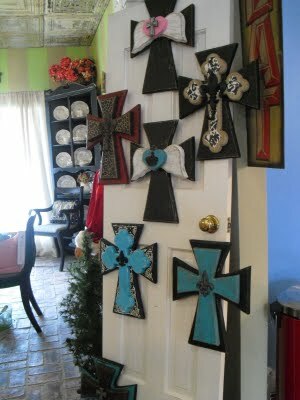 I wish I lived close by, because I LOVED those crosses.